A southern white rhino female, named Victoria, has been impregnated via artificial insemination, researchers announced on Thursday. “It’s very exciting because this is our first pregnant rhino from artificial insemination here at the San Diego Zoo Safari Park,” Barbara Durrant, director of reproductive sciences at the San Diego Zoo Institute for Conservation Research told AP. This development brings hope to the nearly extinct northern white rhino subspecies. With the death of the last northern white rhino male, named Sudan, in March, in vitro fertilization is the only hope for saving the subspecies. With this breakthrough in artificial insemination, it may be possible to save the population. 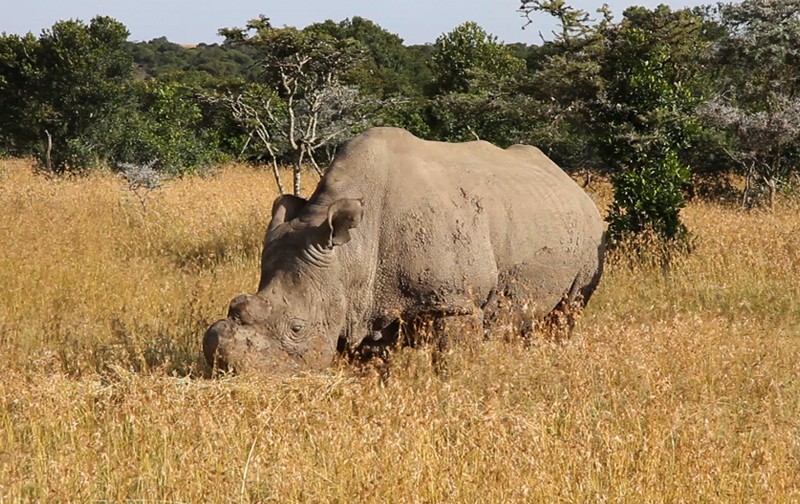 The northern white rhino subspecies is in jeopardy following the euthanasia of Sudan, the last male, in March. Sudan (45) was put to sleep on Monday, March 19th, after complications related to his age worsened. The lone bachelor – as he was often referred to – had become a symbol of wildlife conservation efforts to save his subspecies from extinction. Scientists are observing Victoria’s pregnancy to ensure that she will be able to carry her calf to term over 16-18 months of gestation. Durrant has indicated that before inserting one of the few northern white rhino embryos into a surrogate southern white rhino female, they want to be sure that these surrogate mothers are able to carry a fetus to term. Read the full article here.